The 34th running of the Ojibwe Forests Rally (August 28-29) features approximately 147 stage miles over two days which makes it one of the longer rallies of the year. 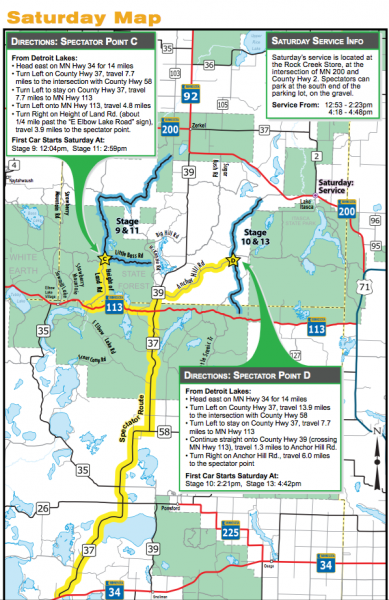 There are also two regional events(Paul Bunyan’s Ride and 10,000 Lakes Rally regional rally) which are basically the exact same thing as the National rally except the entrants paid less than half the price and the event is split into two separate rallies. As a result most of the cars are running the Regional events. 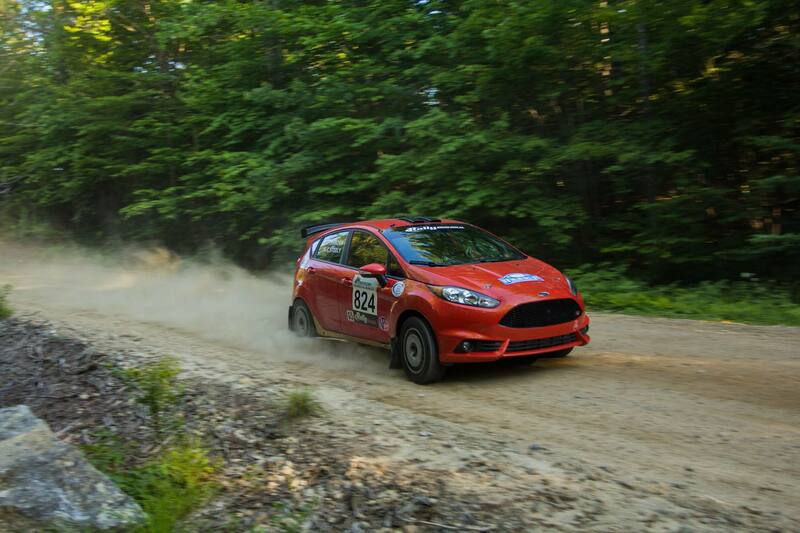 David Higgins and co-driver Craig Drew are likely to win the Ojibwe as they have with every other rally this season. But it’s not for a lack of competition and things do happen in rally. Travis Pastrana and co-driver Chrissie Beavis will be running with Team Subaru USA as well and Subaru Rally Team Canada has Antoine L’Estage and Craig Parry coming down to compete. 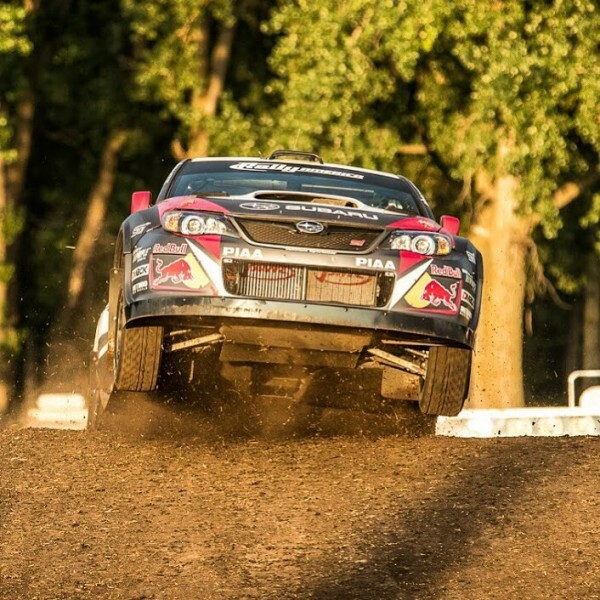 Rounding out the likely winners in Open Class is FY Racing’s Adam Yeoman and Jordan Schulz who have been getting faster and faster all season as they continue to dial in their Subaru. Super Production should be interesting as well with Nick Roberts and co-driver Rhianon Gelsomino competing against Lauchlin O’Sullivan and Scott Putnam to secure their Super Production championship title at this event. Jim Beaver recorded a pretty cool preview of the event for Rally America Radio. 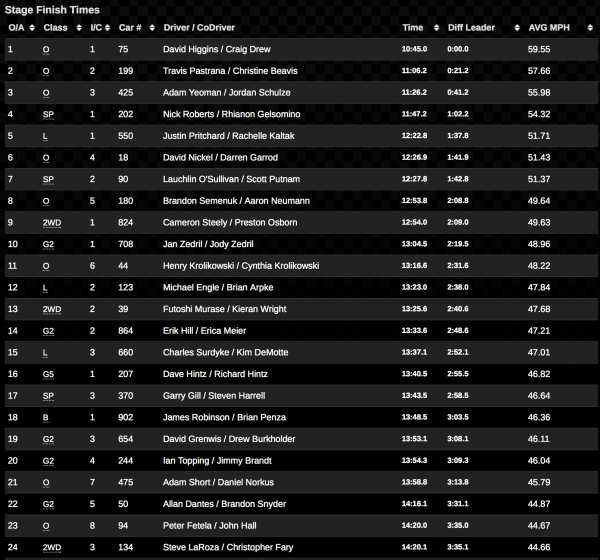 As expected, Higgins and Drew are leading day one but only b5 35 seconds. They had a tire puncture on stage and lost a lot of time while racing on the flat for seven miles. At the first service they were down by 50 seconds from rally leaders Pastrana and Beavis, but Higgins stepped it up on the night stages and they are now leading by 35 seconds going into day two. Challengers Antoine L’Estage and Craig Parry also got a flat tire on the second stage after they hit a rock. 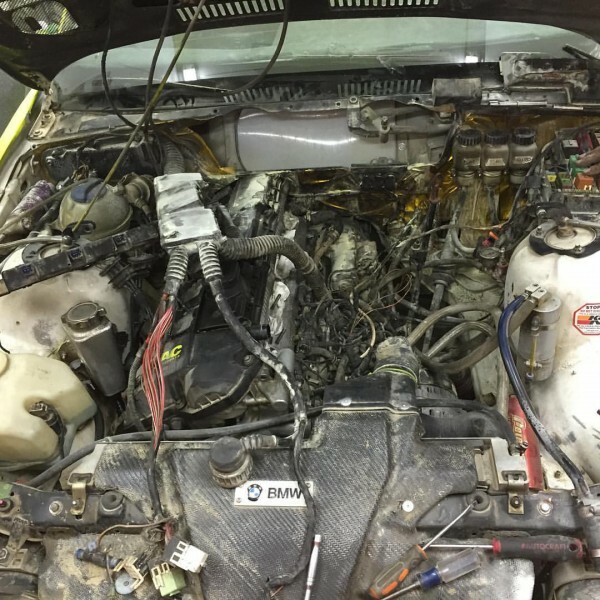 They lost seven minutes to a roadside repair and then struggled through more trouble on the fifth stage. They did not start the final stage on Friday and it was not yet known if they will return to the rally for Day 2. Brenten Kelly and Niall Burns are having a good rally after the win at The Summer Snow Drift and are looking good in 5th place. Nick Roberts and co-driver Rhianon Gelsomino are leading the Super Production battle heading into Day 2 stages, while challengers Lauchlin O’Sullivan and Scott Putnam found themselves struggling to keep pace as they battled an intermittent engine problem in their 2009 Subaru WRX STI – they lost 40.6 seconds to Roberts on the final stage of Friday alone. They still managed some sweet air over the Red Bull spectator jump even with their engine problems. In two-wheel drive, Cameron Steely and co-driver Preston Osborn are leading in their 2014 Ford Fiesta ST heading into Day 2 while early leaders Troy Miller and Ole Holter were out early after taking damage to a wheel of their 2011 Ford Fiesta R2. 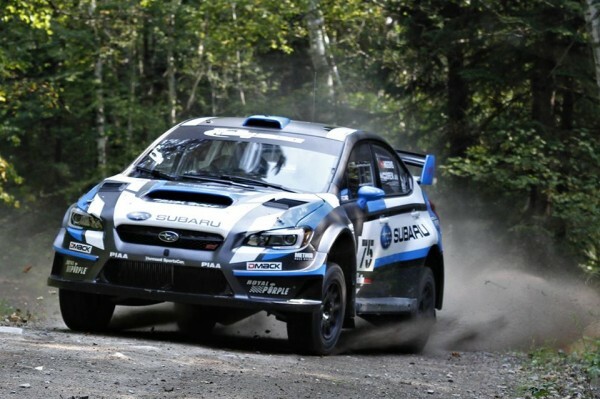 They are expected to return to competition on Saturday under the rally restart rule. 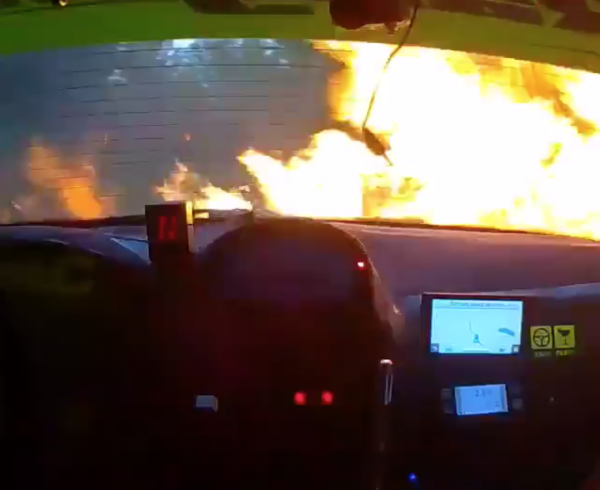 You can see the short version of the video of the fire on Braking Racing’s Facebook page. The fire wasn’t as bad as the picture below looks and the team worked all night to put the car back into competition. Unfortunately the cause of the fire prevented them from entering day two. The seals(round rubber o-rings) around the Bosch injectors failed and they were unable to source more before the start of the second day. It’s too bad such a little part kept Matt and Elliot from entering day two as they are incredibly fun to watch. 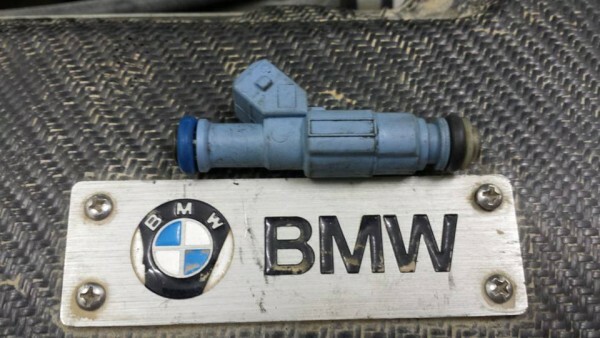 The Brakim Racing/VAC M3 is fast and Matt drives it pretty sideways which means he always puts on a good show. 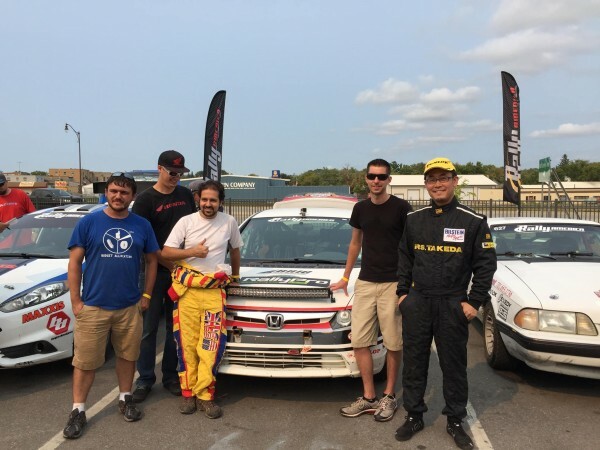 Futoshi Murase and rally regular Kieran Wright of USUK Racing are in second place and setting good times in 2WD National. 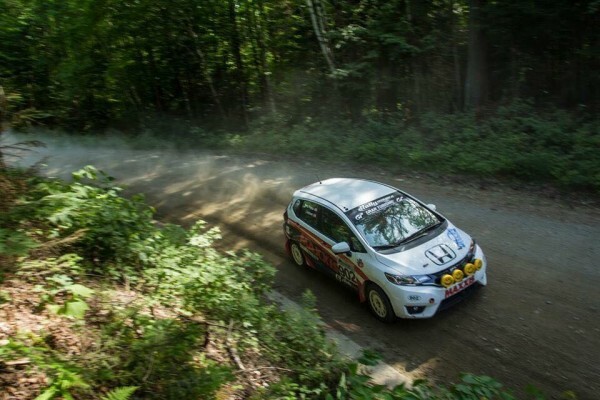 James Robinson and co-driver Brian Penza are leading the B Spec class in their 2015 Honda Fit but then again, they are the only car entered into B Spec. All they need to do is finish to win. Photo from Brian Penza’s Facebook page. Also of interest is Justin Pritchard and Rachelle Kaltak who are flying in their Open Light class car(regional entry). They finished 5th overall (including National entries) on the final stage of Friday! 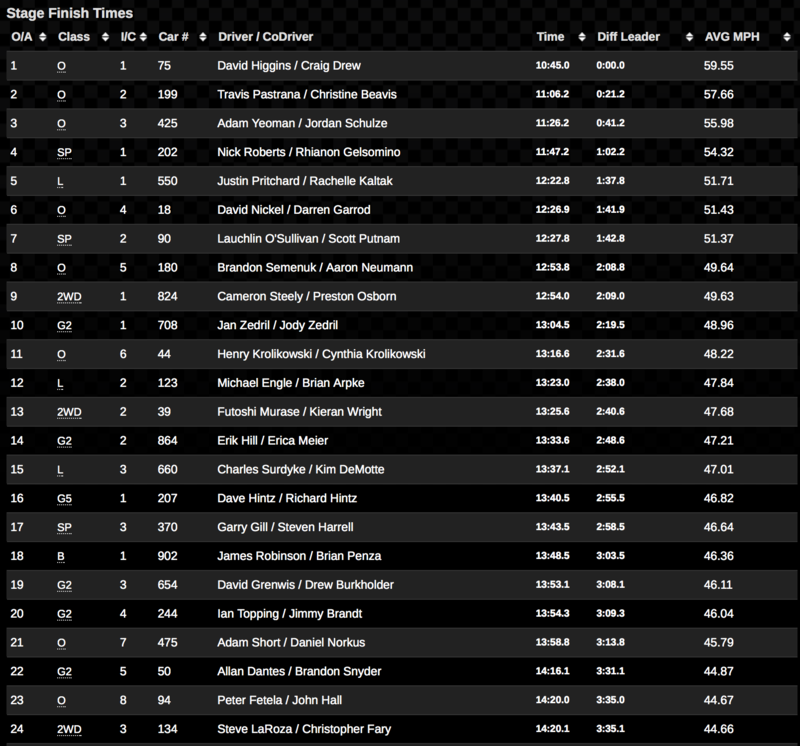 The Rally America website shows them winning day one(Paul Bunyan’s ride) which is awesome but the actual stage times imply that David Nickel and Darren Garrod might have won – so who knows. 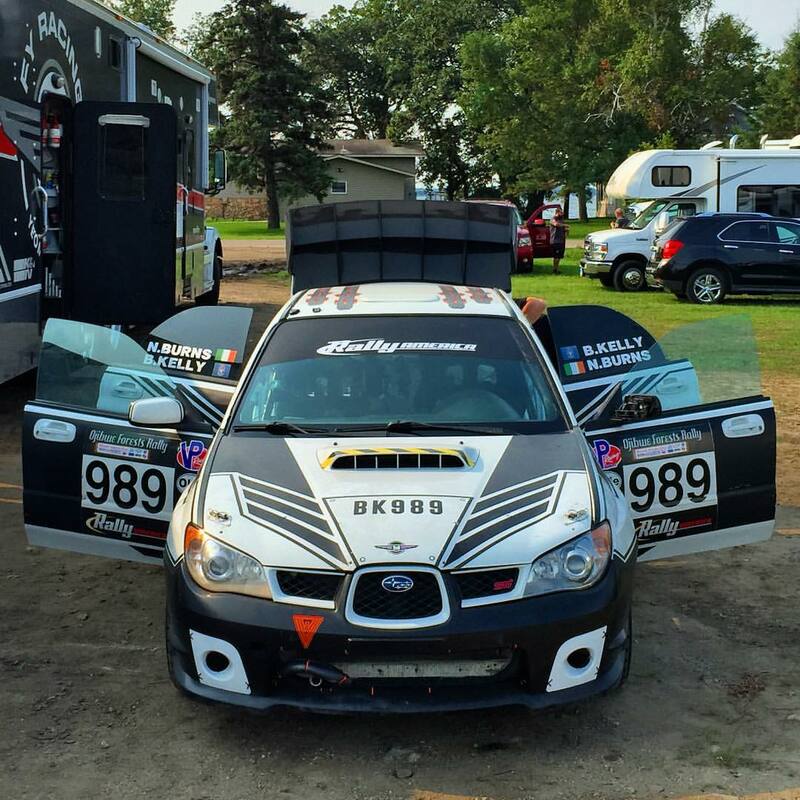 Day two of the Ojibwe Forest Rally should be good to watch. The stages are fast and smooth, with few hidden obstacles offline. After a dusty Day 1, forecasters are predicting another warm dry day for today. Here’s the spectator map for day two for anyone going to the rally that can’t find a copy of the spectator guide. 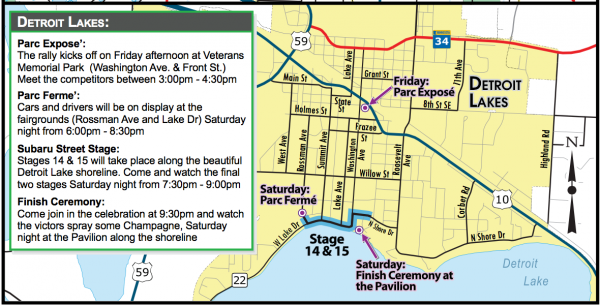 Tonight features a pretty cool spectator stage on the streets on of Detroit Lakes. 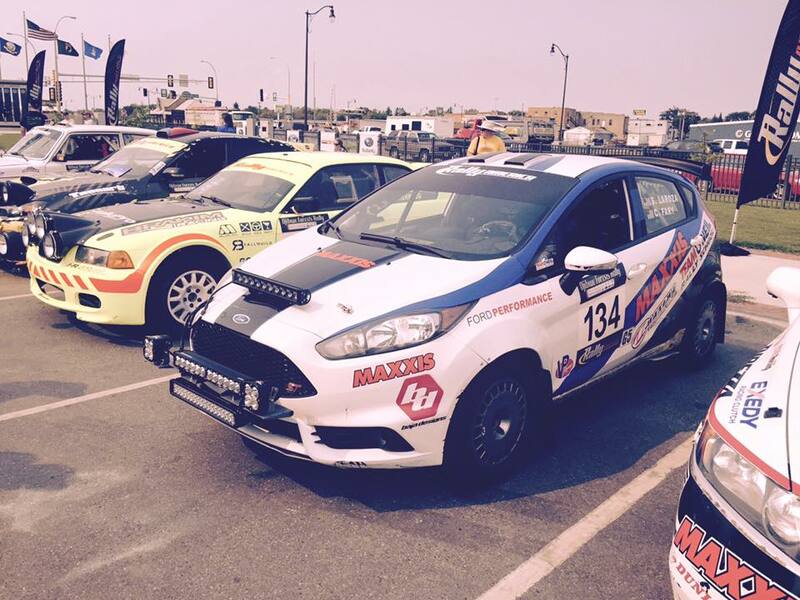 You can follow the event on Twitter using the hashtags #OFR and #RallyAmerica. News and interviews from service and stages will be available via Rally America Radio. 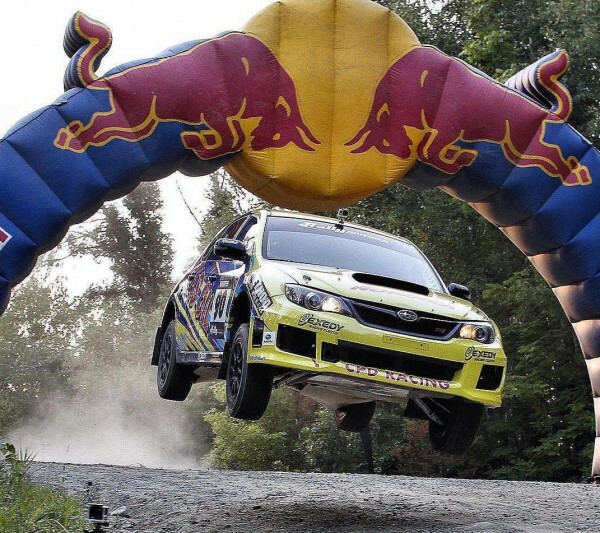 Photos from Rally America and the drivers Facebook pages unless otherwise noted.